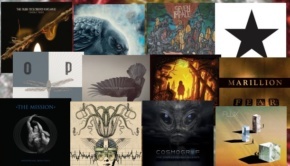 We are now 5 years into what I refer to as ‘Opeth: Phase 2’. While most discussion of their recent albums center around abandoning the harsh vocal style, in my opinion the change to vintage instrumentation was the most significant factor in their progression over the past several years. It’s essentially a new musical language to learn and Opeth has been refining their vocabulary with each successive album. The first album of this phase, Heritage, was a complex and knotty collection of music that was loved and loathed in equal measure. 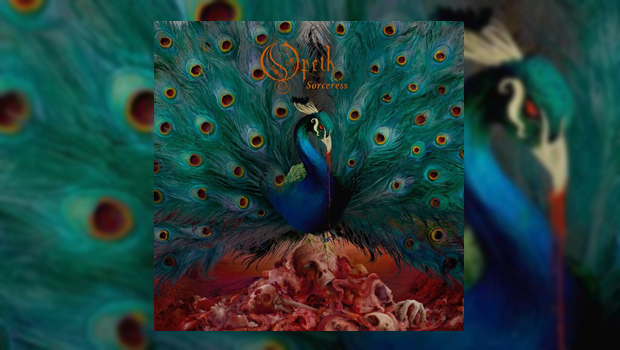 The purposely more accessible Pale Communion followed and it was a very structured and melodic album that garnered Opeth a great deal of attention in progressive rock circles. I think it’s a fine record, but I will admit that I missed some of the more adventurous twists that occurred on the prior release. Sorceress, their twelfth studio album, is sort of the heavier, more extroverted and playfully deviant sibling of Heritage. Sorceress retains the melodicism of Pale Communion but it’s a more spontaneous experience. It was recorded quickly, just 12 days, to capture more of a live feel and that focused energy is discernible on the recording. While Pale Communion is a more concise and composed album experience, I believe Sorceress is the more visceral and unruly of the two and benefits because of it. The title track begins as a Hammond-powered fusion tune, playfully teasing the listener’s expectations before pulling the rug out with a simple, monstrous, Drop-A tuned doom riff. It’s a fun Brontosaurus stomper that the rhythm section nails beautifully. Also worth noting is how strong Mikael Åkerfeldt’s vocal sounds on the heavier material, he’s developed a great deal over the past couple albums. The instrumental coda of the song moves it more into the progressive rock realm and sets up the following track. The Wilde Flowers is one of the heavier and more complex songs on the album and I think is the closest they’ve come to combining the intensity of their earlier metallic albums with the classic progressive rock approach. The verse sections are a heavy throbbing march to the gallows, but the song expands nicely as it develops. Fredrik Åkesson has his most memorable moment since joining Opeth; I don’t often notice guitar solos these days, but this one is killer. At the halfway point the song switches gears into a lovely restrained melodic bridge, then slowly builds to a crescendo with one of the heaviest riffs they’ve played since the Watershed days. It’s a classic Opeth finish. Will O The Wisp is a journey into the vicinity of mid-’70s era Jethro Tull while also simultaneously bringing to mind Opeth’s 2003 Damnation album. It’s an engagingly simple folk-rocker and works within the flow of the album as a refreshing breather between the more intense pieces that surround it. Chrysalis by contrast is an unapologetic ’70s-style heavy metal burner in the Rainbow/Deep Purple orbit, it cranks the intensity to 11. The main attraction here is an extended guitar/organ duel by Fredrik Åkesson and Joakim Svalberg that creates some serious heat. Acoustic tracks are an Opeth staple, they have appeared on practically every album they’ve done since 1998 and are often highlights. 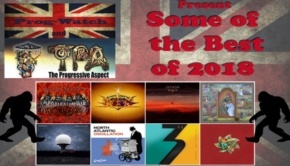 The song Sorceress 2 is a lovely addition to this segment of their catalog. It’s a haunting number featuring a simple finger-picked acoustic guitar and Mellotron backing for Mikael’s falsetto lead vocal and tasteful overdubbed harmony vocals. This is a song I keep returning to; I think it’s one of Mikael’s best ballads. The middle-eastern tinged The Seventh Sojourn follows it, primarily instrumental and having a definite Kashmir influence it really comes to life when Will Malone’s excellent string arrangement enters. 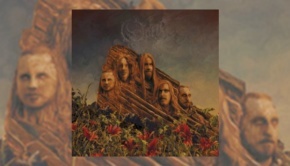 Strange Brew encapsulates everything I love about Opeth in a single track. It has an air of menace to it that harkens back to their earlier era, employing both the heavy/light dichotomy circa Ghost Reveries and the large dynamic shifts of Heritage. It effortlessly flows from plaintive piano/vocal sections (reminiscent of Storm Corrosion) to massive heavy prog bombast. It also contains a very surprising heavy blues section complete with a fiery guitar solo trade-off between Mikael and Fredrik, to my knowledge the first time the blues have made a cameo appearance on an Opeth record. It’s tied with the following song as my favorite on the album. The bewitching A Fleeting Glance is in my opinion the most impressively arranged song on the album. It begins in Beatles territory with a jaunty little harpsichord riff before expanding into a lush, sweeping progressive rock arrangement. The harmony vocals are really stunning, it sounds like Mikael sang all the parts and edited them together. Around the 3:34 mark it reaches a peak that I haven’t heard Opeth achieve before, it’s jaw-droppingly gorgeous and Mikael’s guitar solo is one of his very best. The album-closing Era is the strangest stylistic tangent on the album and it’s the only one that doesn’t really work for me. It’s a blisteringly fast ’80s-style prog metal tune but the very commercial, very 1980s chorus is so uncharacteristic for Opeth that I find it a little too jarring. Overall I think Sorceress might be a little more challenging for some listeners, especially when compared with the smooth and controlled Pale Communion. But if you don’t mind a little stylistic chaos, Sorceress is a damn-entertaining listen, just be sure to crank it up.